Classic Style with asymmetrical radius grooves. Finish in Photo: Satin with polished grooves. The rings are absolutely beautiful, and my husband and I love them. We bought these to replace our original wedding bands and I love them even more than our old ones. They're perfect and I can't stop looking at my band! The perfect rings for my fiancé and I. We liked that we could completely personalize them and they came exactly as we'd imagined and in a timely fashion. 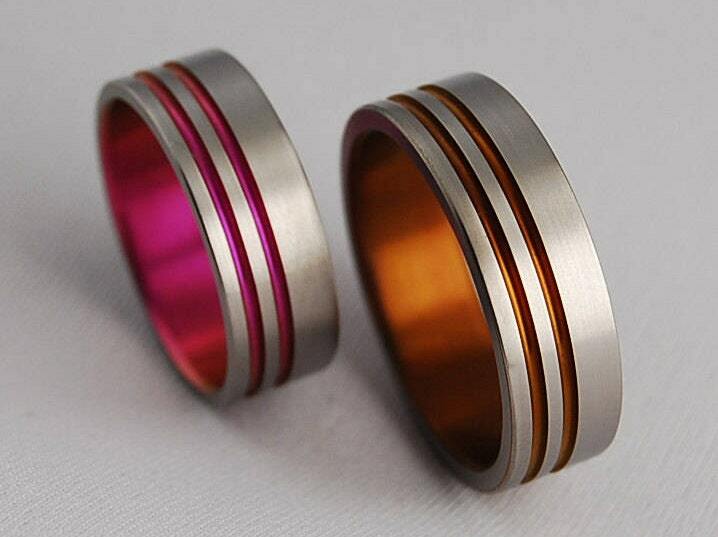 Nice rings, comfortable to wear. The shipping was fast and the parcel arrived days before expected. Perfect! They arrived when promised and are exactly what I hoped for. Thank you! Beautiful rings, sizes run a little larger than expected. All in all nice ring.